A DRIVER charged with six counts of murder over a Melbourne car rampage plans to testify and explain the 2017 attack. 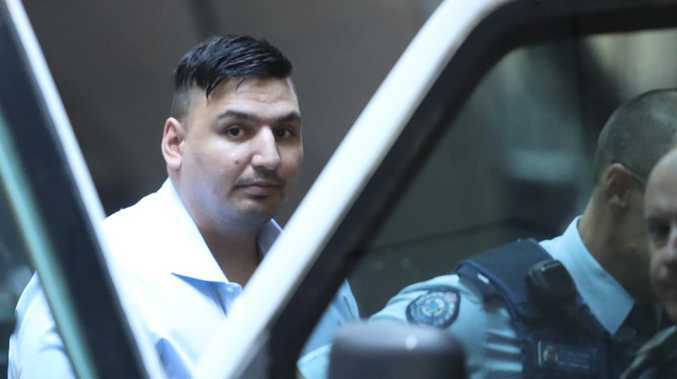 James Gargasoulas, 28, agreed to "essentially all of the facts" and wants to give his reasons for the rampage down a busy Bourke Street pedestrian mall and footpaths, his lawyer Theo Alexander told a Supreme Court jury on Thursday. "Mr Gargasoulas, for better or for worse, is absolutely committed to his explanation and, as another jury found, he is fit to stand trial," Dr Alexander said, in his opening remarks of what he called a sad, tragic and emotional case. He described Gargasoulas as "not a well man" who has a mental illness and was at the time in a drug-induced psychosis. But he said neither amounted to a defence for the events of January 20, 2017, as put by prosecutors, little of which the defence will dispute. Director of Public Prosecutions Kerri Judd QC played footage of the rampage to the courtroom, which was packed with victims and families. There were audible gasps as the first of 33 pedestrians was mowed down and the footage showed bodies flying across the pavement. "In a period lasting only about a minute during the busy lunchtime period, the accused left a trail of death and carnage along Bourke Street Mall," Ms Judd said. He drove under shop awnings, where the number of pedestrians was greater, she said. The car eventually stopped, due to mechanical fault and being rammed by a police car. 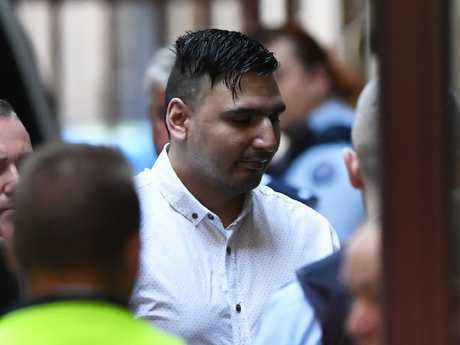 Witnesses saw Gargasoulas appear to drive deliberately at people without hesitation and went out of his way to hit a pram with a baby and toddler inside, Ms Judd said. Those killed were three-month-old Zachary Matthew-Bryant, Tahlia Hakin, 10, Yosuke Kanno, 25, Jessica Mudie, 23, and 33-year-olds Matthew Si and Bhavita Patel. Gargasoulas has pleaded not guilty to six counts of murder and 27 of reckless conduct endangering life. Ms Judd said Gargasoulas smoked ice the day before the attack. The events of that day began early on when he stabbed his younger brother, Angelo, repeatedly in the head and neck, causing him life-threatening injuries. Gargasoulas then led police on a pursuit lasting hours, Ms Judd said. At times he stopped to speak to friends, and by phone, to officers pursuing him. "I'm going to do something drastic, take everyone out. They will suffer the consequences. Watch me. You will see me tonight on the news. The police have stopped me before but they ain't going to get me this time," he told a friend. Two strangers on the street called triple-0 after Gargasoulas said they would see him on the news that night. At one point, officers believed he was ready to surrender, asking for a day to get his things together, but he later sent a text to one saying, "You're making a big mistake". When two officers approached his stationary car, he tried to ram them, before fleeing again, the jury heard. Just 10 minutes before the first pedestrian was struck, officers were instructed to arrest Gargasoulas only when he was out of the car.